A joyous All Hallow's Eve to you, or as we say in America (and not my imagination), Happy Halloween! As a treat for you on this day of tricks and treats I thought I'd actually get my act together and publish this for you. Enjoy! 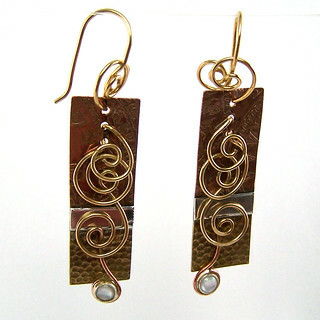 These earrings began as a project to figure out what to do with a fabricated pair of etched and soldered rectangles I made out of copper, brass, and sterling silver. I wanted to do something really striking with it. 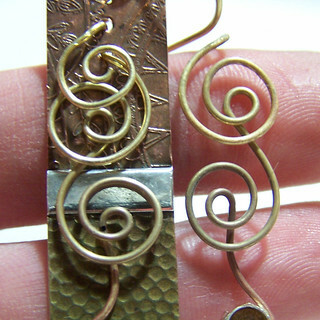 One of my first ideas was to solder bezels and set a pair of pretty cabochons, but that seemed too mundane. 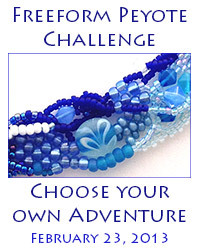 "What if," I thought to myself, "I put the cabochon on swirly wire in front of it?" My brain perked up immediately. "Oh, yes!" I responded, to myself, in a Smeagol-like voice. "We likes swirlies, we does!" After acknowledging I had too much caffeine in my system I set out to create this imagined earring. Step One: Cut two 6" lengths of 20g wire. File flat both ends of each wire. 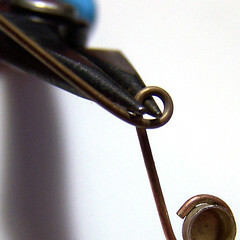 Using a round nose pliers make a partial loop with a diameter of 4mm on one end of each wire. Step Two: Laying the two wires so they are mirror-images of each other, Solder a 4mm bezel cup to the inside of each loop you just created. 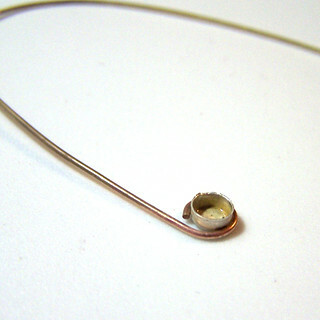 Make sure the wire sits at the bottom of each cup so that it doesn't interfere with setting the cabochon later on. When I first lit my torch I focused the heat of the flame on the charcoal around the bezel before heating the wire to make sure there was enough residual heat beneath the cup to help the solder flow. 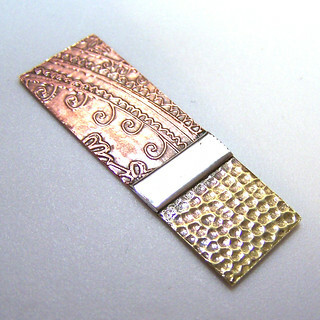 Using radiant heat is an great trick for soldering delicate parts. It also helps to make sure you are able to heat your copper to soldering temperature quickly enough to minimize the oxidation that interferes with the capillary action of the solder. Here's the blog post about Flux that I mention. 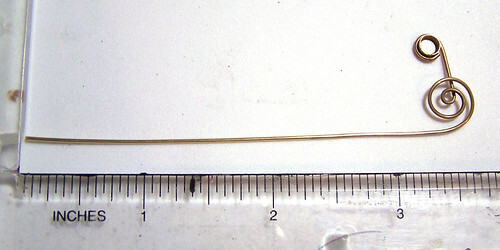 Alternatively: you can wirewrap a small bead in the 4mm loop instead of soldering. Step Three: Using a fine tipped permanent marker mark the wire 3/8 of an inch up from the bezel. TIP: Use the fine tipped permanent marker to mark your round nose pliers where you will be making your small loops so the loops on each earring will look the same. Where you mark the pliers is up to personal preference, but for a standard pair of round nose pliers I usually mark mine somewhere around 1/4 the way from the tip. 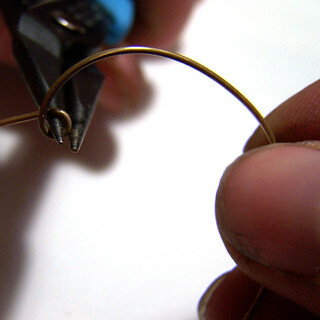 Step Four: Using your round nose pliers gently grasp the wire at the mark you made. Make a loop - between 3/4 and one complete loop. 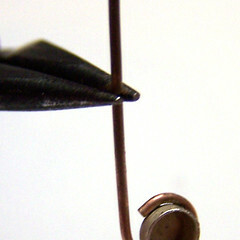 Repeat for the second earring, making sure to make the loop a mirror image (reverse direction) of the first one you did. Step Five: Move the round nose pliers to your non-dominant hand and use them to gently hold the loop. You will now use downward, inward pressure from both the plier hand and your dominant hand to begin to form an open spiral - one more revolution around the loop you made with the pliers. Notice below that the spacing between the wires of the spiral is about the same as the diameter of the initial loop you made. Repeat for the second earring. 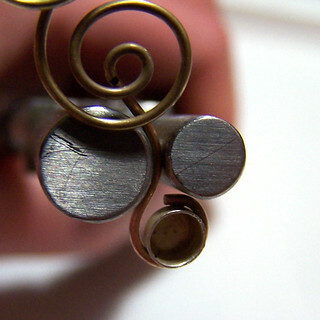 TIP: Making open spirals, freeform, by hand, takes practice. If you've never done this (successfully) before, practice first on some scrap wire. 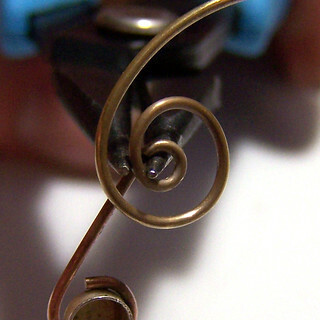 Once you've formed the first revolution of the spiral you can put down your round nose pliers and use a chain nose pliers to gently hold the new portion of the spiral to give you more leverage to form the next part of the spiral. Just make sure you're holding a portion of the wire that has already been formed the way you want, otherwise the wire will bend rather than curve at that point. 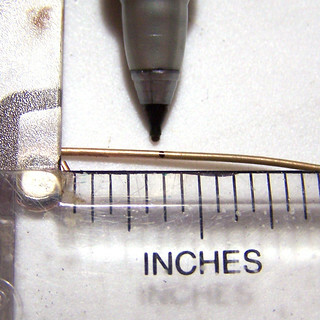 Step Six: You should, ideally, have around 3 1/2" of wire left. Make a mark 3 3/8" from the end of the wire. Step Seven: Like with the previous spiral, place your round nose pliers at the new mark you made and make another loop (with pliers) and open spiral (with both plier- and non-plier hands) above the open spiral you just finished. 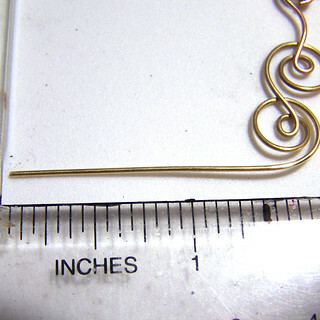 Step Eight: Just to be pretty, use a bail-making pliers or 1/4" to 3/8" wood dowel to put a slight curve in the wire between the bottom spiral and the bezel cup at the end of the wire. 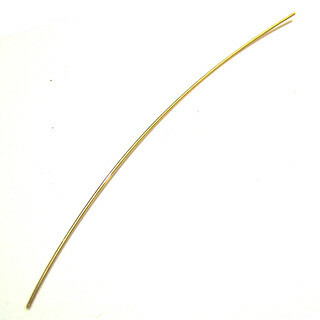 Remember to make the curves on each earring mirror images of each other. Step Nine: You should now have about 1 1/2" of wire left. Aaaaaaaand ... you'll have to come back to see the rest. Next we'll hole-punch the rectangle, attach the wire to the rectangle, create and attach the earwire for the earring, figure out how to keep the earwire and rectangle neatly aligned as they hang, and set the cabochons. So, are you going to try the project? 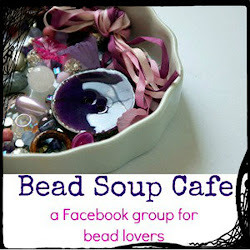 Do you solder, or are you going to wirewrap a bead into the bottom loop? 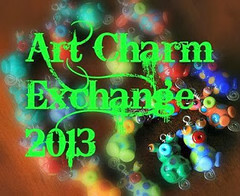 Do you have other ideas for changes you'd make? Are you excited for part two? I hope you are enjoying your summer ... errr, Fall (I may have intended to publish this a while ago) ... so far and we'll see you for part two! Thanks for stopping by!